This year I break with tradition by not reporting on each of our four pillars, but speak more generally about where we are, together as a school and family. (The Pillar reports will be detailed in our annual school magazine). 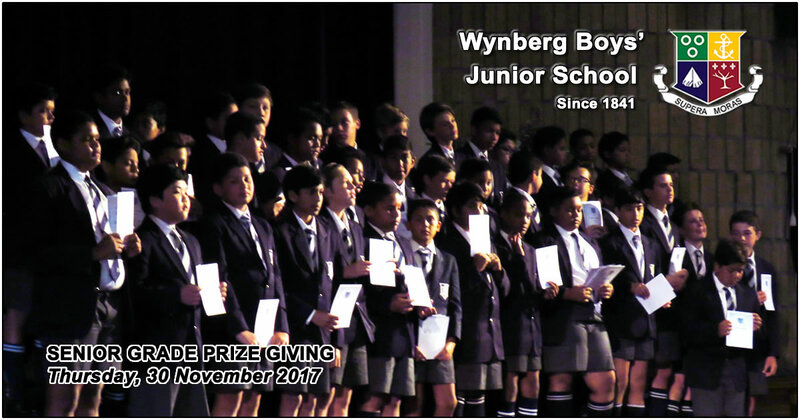 Last year at Prize Giving I spoke about change and that while we all love Wynberg Boys’ Junior with its embodiment of great traditions and unswerving ethos and philosophy. I also said that change is an important part of Wynberg Boys’ Junior and its continued success as a leading Boys’ school. Traditions and Culture are not static; they don’t stand still, they are always changing as each generation contributes its experience of the world and discards those things that are no longer relevant or useful to them. Like most cultures, our traditions at Wynberg play a significant role in creating the bonds that keep us united. They help form the structure and foundation of this, our Wynberg family and broader community. They remind us that we are part of a history that defines our past, shapes who we are today and who we will become. The Wynberg Boys’ Schools have been very fortunate to have school leaders and governors who have made it their business to be proactive in adapting to change. This trend has continued this year with evaluating the relevance of our symbols and names. Our Schools embarked on a discussion on the relevance of our House names. This process included exhaustive surveys of our Wynberg staff, students, parents and Old Boys. In addition, we held focus group discussions, sought guidance from legal experts, change strategists, independent historical consultants, and conducted our own research. The outcome was a clear mandate to rename our school houses to reflect our heritage in the broader Wynberg Community. Glebe, green – original home of the Wynberg Boys’ Schools in 1841. The “cottage ‘neath the mountain” memorialised so powerfully in the opening lines of our School Song. Oude Wijnberg, blue – the original historic estate acquired by the School when the grounds of the upper campus were consolidated to accommodate WBHS. The land now home to the Jacques Kallis Oval. 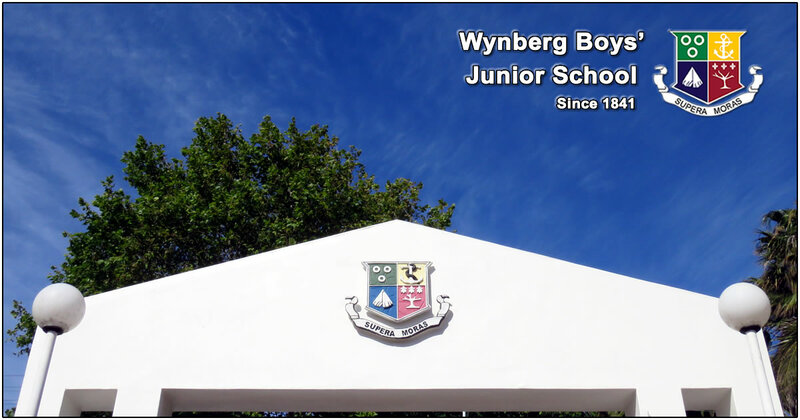 [Ed – an interesting note is that JK was of the first generation of Wynberg Boys’ to attend Wynberg Boys’ junior school in our current premises after we took over the high Schools’ buildings when the new school opened on the upper campus. Silverhurst, red – the historic manor house and surrounding estate which served as a Junior Boarding house, and today houses the school museum and functions as the official residence for Headmasters of Wynberg Boys’ High. Sunninghill, yellow – the estate across Oxford Street on which was built Wynberg Boys’ Schools’ second home, known as “Nixon’s School”. It was from this house (still standing on the corner of Tenant & Aliwal Roads) that the school moved in 1892 to the premises we know as WBJS today. While this change of names might have appeared to many as minor in the life of our schools, it is hugely significant in illustrating our inclusive Wynberg Way of drawing all stakeholders together to forge a united path for our shared journey into the future. The new names link our schools indelibly to our shared heritage, and to our historic position in the suburb of Wynberg. Every parent here has made the choice to be part of this institution and annually recommits to remain part of our Family. Similarly those who we employ at Wynberg have made the choice to be here and honour the expectations of our shared vision to remain one of the leading boys’ schools. Mediocrity simply doesn’t resonate with what we are setting out to achieve. This we will continue to deliver via our 4 pillars. When I meet with new or prospective parents, many describe to me their aspirations for their sons in terms which prioritise a ‘Balanced’ education. At Wynberg we believe this is what we offer through our 4 pillars. A singular part of educating the whole boy is inspiring our Supera Moras spirit, the spirit of overcoming all obstacles, the spirit of never giving up, a resilience against all odds. While innate in all humans, it is within a child’s earliest years that the try-and-try-again of learning is fostered by parents – learning to walk, tie shoelaces, the first bicycle. All come with a few tears and bruises, but a sense of pride in accomplishment once on his feet and ready to tackle school and the years of learning ahead. The encouragement to instill the cognitive mindset to never give up, while driven at school, can only succeed with the full commitment of your boy’s most trusted adults: yourselves, his parents. As parents we need to control our automatic tendencies to protect and shelter our sons from life’s obstacles, rather to encourage them to face them and find their own way over and around the challenges ahead. Be they academic, sporting, learning to play musical instruments, or making new friends, it is the essence of Supera Moras that must be encouraged, not the potential rewards of prizes, nor acclamation over their peers. The act of raising your sons’ consciousness to that of ‘I can’ is the most important, life-long achievement, one that will pay dividends well into the future. …. As a school we find ourselves grappling with instilling the sense of resilience and Supera Moras against the backdrop of changing parental expectations around the role of Education, changing expectations from the Education Department (this is evidenced in the new Basic Education Law Amendment bill that is about to be passed), changes in the way discipline is viewed, constant questions around traditional structures and ways of doing things, particularly in the context of those schools with long-standing heritage. We grapple with how to remain relevant in the world characterised by instant gratification. So the dialogue has changed and the way we engage with you as parents needs to change as well. We’re at that time of the year where I am regularly asked whether the 12 months passed have been good. This year I have struggled to answer the question with brevity: because I want to say that it has been the most extraordinary, inspiring, exceptional, and challenging year I have ever known. Personally, I have needed to count on many people for guidance and advice to steer our school through some circumstances we had not anticipated. Being front page news in the press and being put on trial by the court of public opinion via social media is never pleasant. I want to thank our parents for their overwhelming support particularly those who come forward and seek clarity directly from us. At this point, I must thank the SGB who have served this school for the past 3 years. Their input has been significant and I would like to acknowledge the tremendous work they have done in support of crafting a vision for Wynberg boys’ Junior School to keep us relevant and sustainable. The expertise they have been able to share and the insights they bring in representing you as parents have been invaluable. I take this opportunity to thank our staff and those who go over and above the expectations to ensure the boys entrusted to us receive the very best on a daily basis. I include in this teachers, administrators, our custodial staff, and aftercare staff. Our art teacher Mrs Robin Hart has after 12 years at Wynberg made the decision to go into retirement. we thank her for sharing a passion with our boys through the medium of art. how displays of work our testimony to the enjoyment that boys have we arrived from her art lessons. Mrs Hart we wish you well and hope that you will continue your work as an artist, albeit now for your own pleasure. Also leaving after 9 years is our head of academics Mr Andre Engel. Mr Engel has accepted the position of principal at Wesley Practicing School in Salt River. Whilst we are sad to lose him We know that his skills make him able and ready to run a school of his own. Mr Engel, look forward to engaging with you as a colleague and fellow school principal. Mr Gareth Jordan has accepted a position at Bishops Prep and whilst his stay at Wynberg has only been 2 short years he has made an impact in many ways with his forthrightness and work ethic. Mr Jordan we wish you well I look forward to the encounters we will have with you as an opposition coach. Miss Nicole Stokell who has completed her studies through on learnership programme, and is now a qualified teacher leaves to take up a teaching position at Good Hope Seminary Mis Stokell we wish you well and know that you will be an excellent teacher. To all you I thank you on behalf of the entire Wynberg Community for your input into this school. We wish you all a long and happy stay with us and welcome you to the Wynberg community. For the past 3 years I have ended my Prize giving address with a running analogy. This year many parents particularly the mothers have said to me “Mr Poleman I see you’re not running anymore” it must have something to do with your expanding waistline. I must confess it is true. But it is not true for Wynberg we are running albeit not at the pace that others may like as we have determined that this journey is not a sprint but one that we have to be measured about to stay the course. So I wish you good luck over the festive season. We hope you will enjoy safe travels and interesting journeys, and we hope you will come back soon to share your stories with us when we return next year. Thank you, for the privilege of your company.